The Double House was designed by Divercity Architects. Combining luxury with amazing services in one great architecture, the idea to put two homes in one single volume is one trend architecture m odel what will be more and more assimilated in the future. 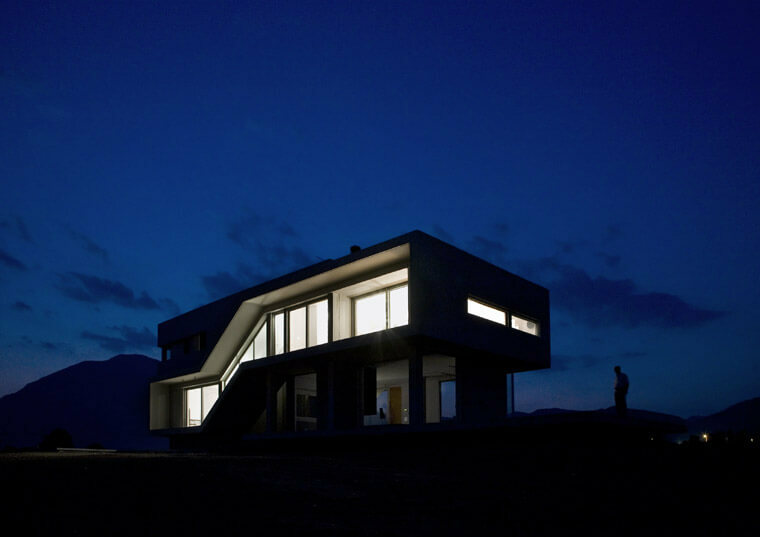 These two houses are positioned parallel to the coastline in order to maximise the unbroken sea views. The brief was to create two separate houses that could be inter-connected to function as a single unit. The outline of the first house is delineated by a zigzag line that cuts through the space, like part of an imaginary prism.The glass facade on the first floor follows this zigzag line,creating a sense of movement and framing the view.The second residence occupies the remainder of the prism. Both buildings share an internal atrium,which facilitates movement between the two and creates visual interplay between the various spaces. Awesome article, We are browsing back again frequently to search for improvements.